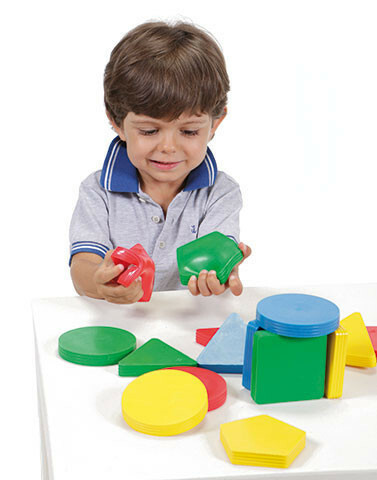 The Gymnic Multiform Geometric Shape Set helps your child learn geometric shapes and colors. 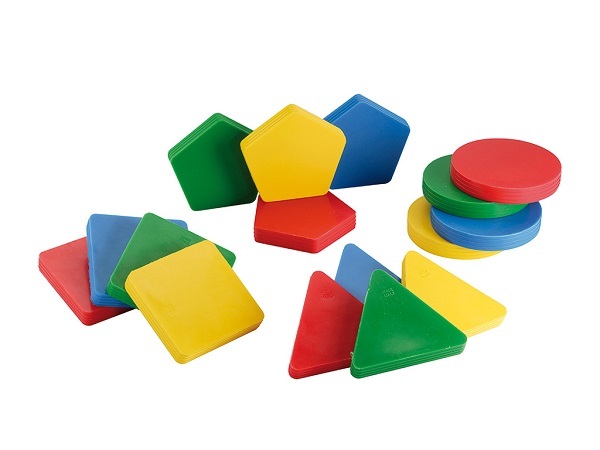 They can be used to create small structures, sort, stack, and build shape and color association skills. 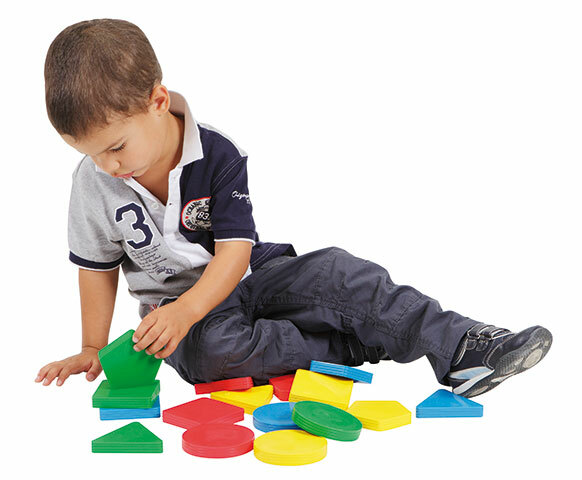 It is ideal to enhance the child skill of associating shapes and colors and it stimulates prehensility. Kids love to grasp and squeeze them! The set includes 4 geometric forms (each of them in 4 colors). The geometric pieces are washable in soap and water. Set includes 16 pieces in 4 primary colors and 4 geometric shapes.